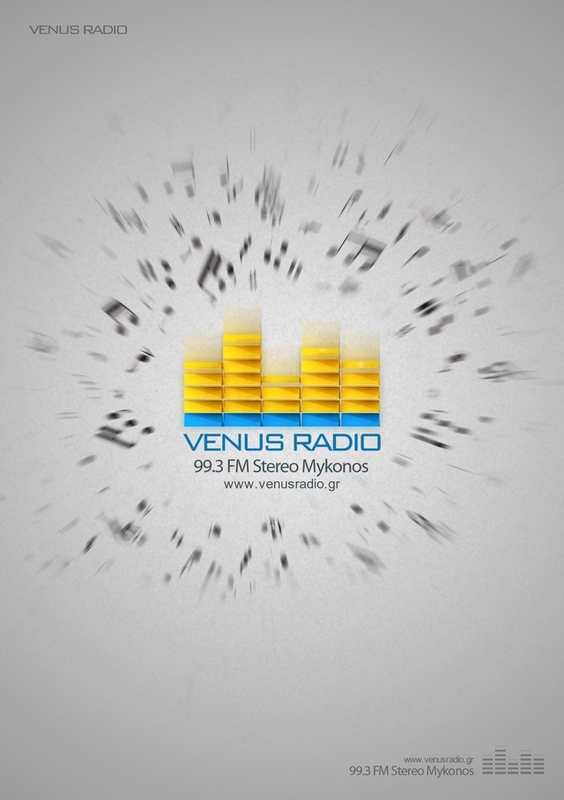 Venus radio station http://www.venusradio.gr is a full radio station provide various types of music in Mykonos, Greece. start to make the concept more related to the music and i get the idea of led. equalizer leds actually. going to represent it in Maya and finished with photoshop. Then going forward to the A5 flayer design using the same concept and explosion of the music notes.